In another exclusive this week, Rewarding Times are delighted to partner with Campbell Jewellers to offer you this exclusive offer of Radley Wimbledon Rose Ladies Watch for only €99 (RRP €175). 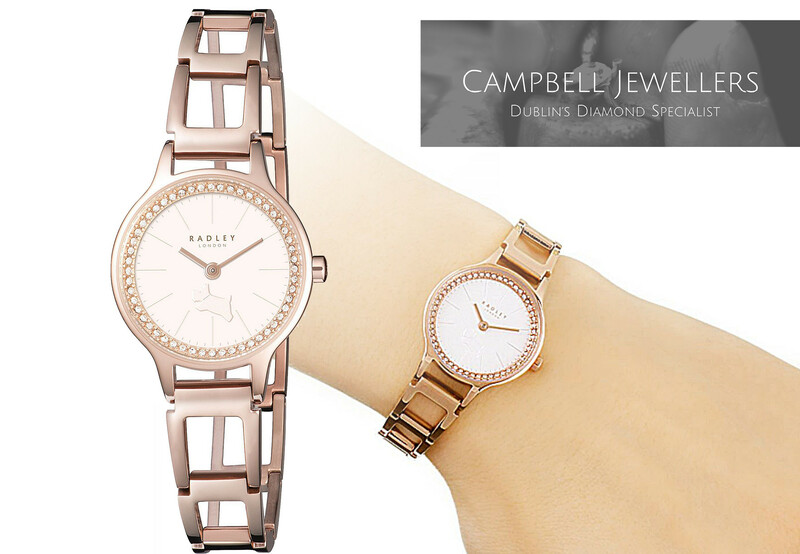 Radley London are famous for their exquisite handbags, now to compliment these the London based power house has introduced a range of beautifully designed feminine watches which are exclusive to Campbell Jewellers Dublin. This sophisticated timepiece comes with with an open link bracelet & on-trend rose gold design, and will complement your look season after season. Please place your order by Friday 24th November 2017.